Sid Grossman met his subjects where they were, documenting them reverentially and purposefully. 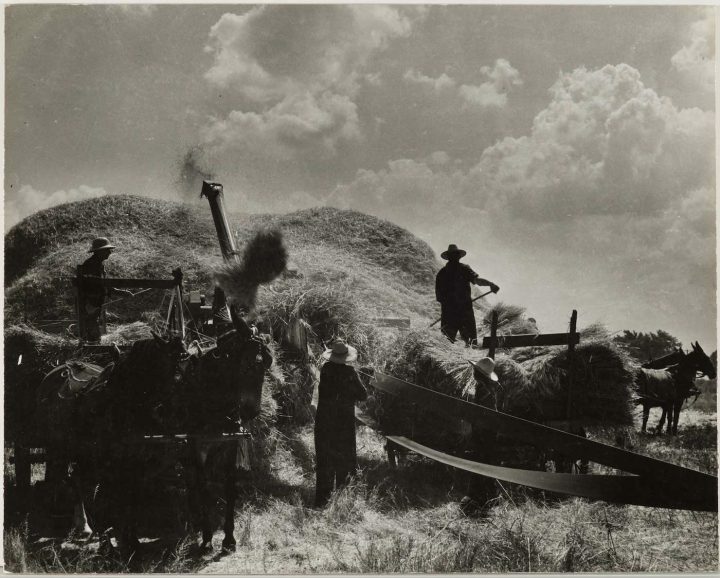 This photo is not part of Sid Grossman: Photography, Politics, and the Ethical Image, an exhibition dedicated to the photographer’s life and work from the late 1930s and mid-1940s, now on view at the Pérez Art Museum Miami (PAMM). But its absence delineates the show’s cutoff point: a few years after the Photo League was blacklisted and Grossman defamed, he moved to Provincetown, Massachusetts, and shortly thereafter passed away. The image also encapsulates the care Grossman extended to both his subjects and his practice and what, exactly, photography was for him: “A photograph is not merely a substitute for a glance,” he once said. “It is the revelation of new and important facts.” Exposing the economic inequities of New York City, he photographed poorly constructed tenements and crowded homes — as well as sublime and poignant street scenes, like the pleasures of adolescent life on the Coney Island boardwalk or the bemused faces of children in Harlem, briefly taken aback by his camera. The Photo League emerged from a nationwide, Communist-affiliated photography movement; the New York City branch evolved into the League in 1934 after Grossman, then 23, met fellow photographer Sol Libsohn and gave the collective a name. Grossman, the youngest child of two Jewish first-generation immigrants from the Austrian Empire (now Poland), was not only a Photo League member but an educator — at the Photo League’s workshops, the Harlem Art Center, and, later, in Provincetown — and the founder of Chelsea Document, an exposé on the neighborhood’s living conditions. 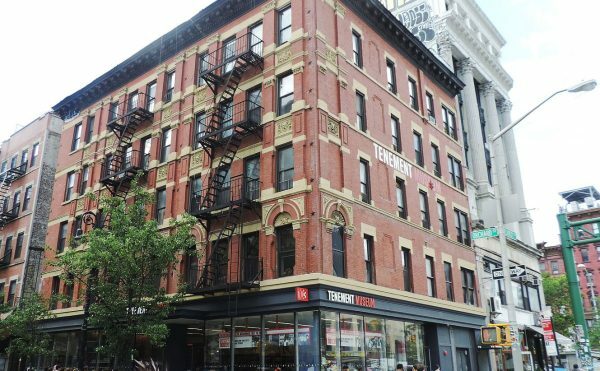 He encouraged his students to work in much the same way he did: on the street, in the thick of it, with veneration for the artistry of the medium and its ability to broadcast varying realities. Photographs of the Chelsea tenements at PAMM are unassuming street scenes. 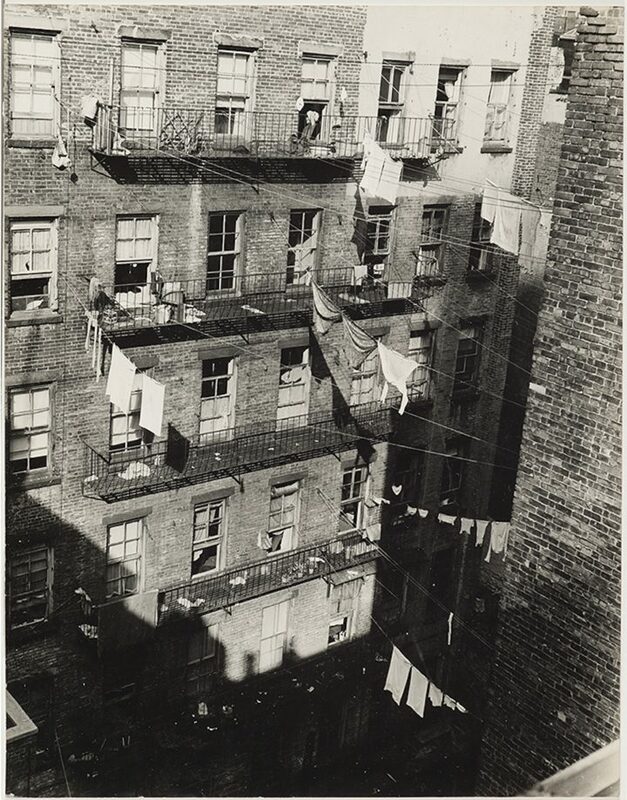 Sheets dangle from clothing lines in “Untitled (New York apartments)” (1940), edges of the open windows tattered and mildewed; heat and bodies are evoked. Their actual presence, though, is more compelling. The teenagers and children in “Swimming Pool, Colonial Park (Harlem)” (1939), lounging on their bellies, poolside on stone steps damp with chlorine, are nearly cut off by a blurry figure — another kid stepping into the frame the moment Grossman hit the shutter. He enlisted in the military and was stationed in Panama, where his photos took on a stark, cinematic quality. 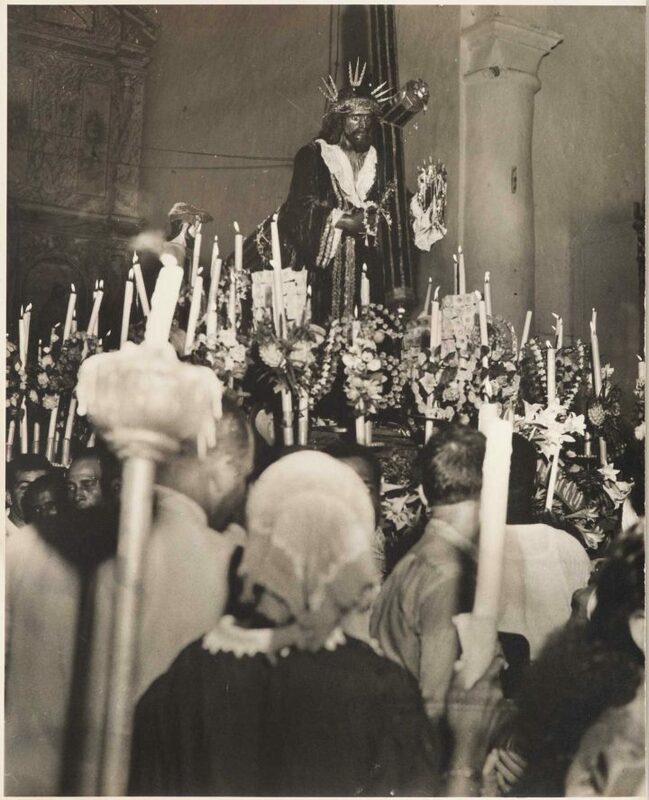 One subject, cloaked in a robe and carrying a cross in “Untitled (Black Christ Procession, Panama)” (1945), stares at Grossman, caught in a moment of surprise or annoyance or somewhere in between. There’s the air of cultural intrusion on Grossman’s part and, perhaps as a result, the rest of his photos in Panama appear to be taken at a slight distance. 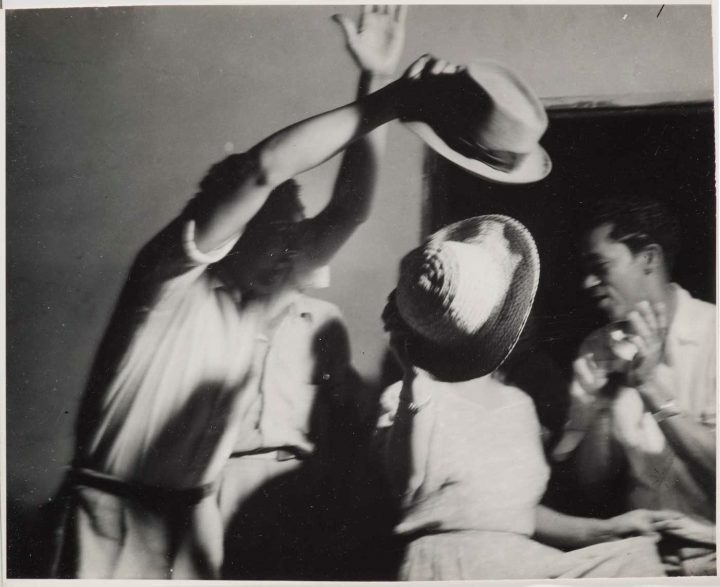 In “Aquadulce Cantina, Panama” (1945), a man on the left raises his hat, his shirt stained with the shadow of the figure on the right; a child at center faces forward, but none of them seem to see Grossman. The PAMM has included a timeline of Grossman’s life, from birth through his untimely death at age 42. An accompanying clip from a documentary on The Photo League offers — from multiple colleagues — the explanation that the stress of the group’s blacklisting and the painful accusations against Grossman’s character ultimately took his life. Work like his — with this sort of moral history — is often deemed “humanizing,” the photographer’s social consciousness eclipsing the images themselves. In reality, the distance afforded by photography can have the opposite effect, distilling whole swaths of life into mere subjecthood. The quote “The question of naturalism is a fallacy,” is attributed to Grossman; he carried no delusions about an image’s ability to display something natural and unaltered. The camera changes things. Still, he met his subjects where they were, documenting them reverentially, purposefully and, until his iniquitous defamation, unceasingly. Sid Grossman: Photography, Politics, and the Ethical Image is on view at the Pérez Art Museum Miami (1103 Biscayne Blvd, Miami) through October 28.